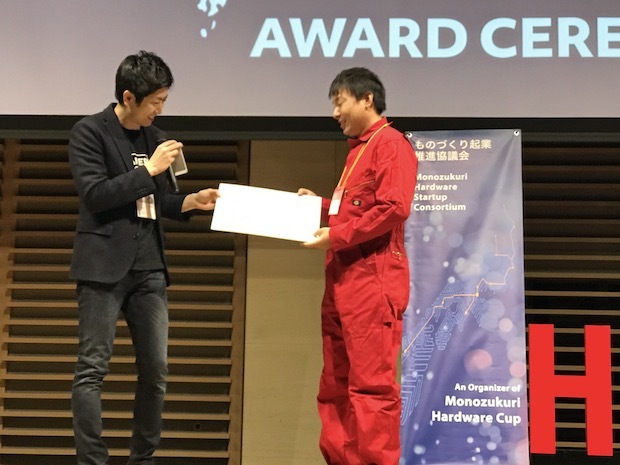 Japan’s Monozukuri Hardware Startup Consortium held Monozukuri Hardware Cup 2018 as a part of Hack Osaka 2018 last month. 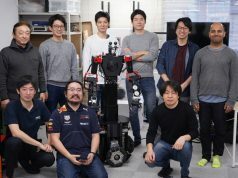 The consortium consists of Kyoto-based hardware-focused startup accelerator Makers Boot Camp, New York-based FabFoundry, and TechShop Japan. This event is regarded as the gateway to success for Japanese hardware startups aiming at the global market, and the top three teams will be invited to AlphaLab Gear Hardware Cup Final 2018 which will be held in Pittsburgh, the U.S. and there compete in the pitch event with other teams chosen from North America (incl. Canada), South America, India, Israel and Korea for a prize of $50,000. 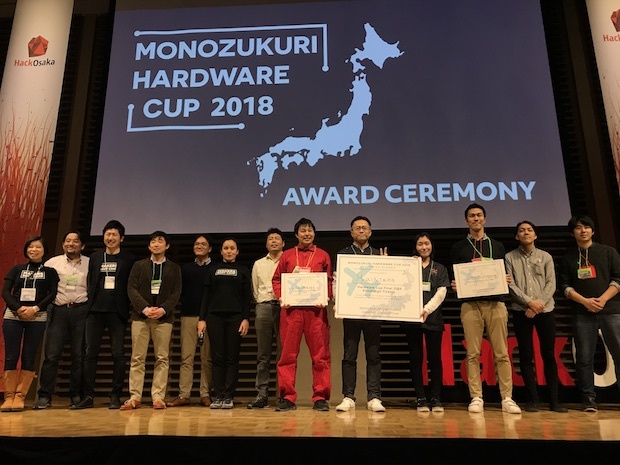 Among 27 Japanese teams that applied for Monozukuri Hardware Cup 2018, 8 teams were chosen as finalists according to the four selection criteria: 1: passion for business, 2: business potential in global market, 3: potential customers’ needs or large market, and 4: business superiority. 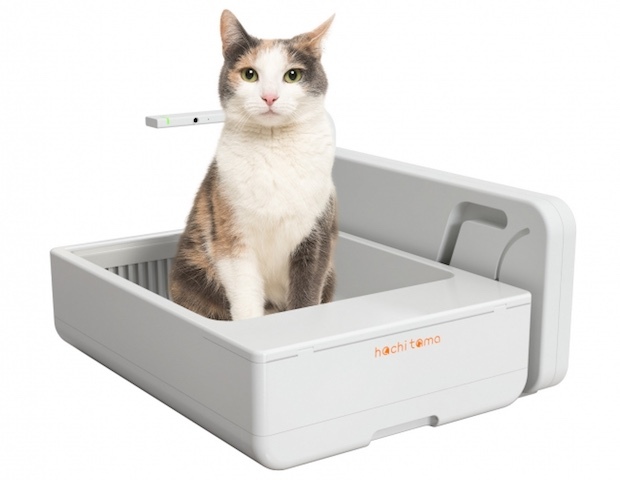 Hachitama develops Toletta, the IoT (Internet of Things) toilet for cat capable of checking up urologic diseases. It cleans cat excrement automatically, identifies each cat by image recognition and records usage information including weight, urine quantity, or urination / defecation frequency. When any abnormal findings are detected, the information will be sent to their owners’ app. The team plans to monetize its service based on three factors: device / smartphone app, periodic purchase of recognized organic cat food and online consultation. Hachitama was founded in 2015 (the company name was Pet Board Healthcare then). It succeeded in a crowdfunding campaign at Green Funding and was subsequently chosen for Morinaga Accelerator 2016 which is managed / supported by 01booster and Tokyo Accelerator which is managed by Dai-ichi Kangyo Credit Cooperative. 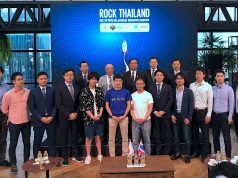 After that, the team raised a total of 40 million yen (about $380,000) from Morinaga, Kanshin Mirai Fund (managed by Dai-ichi Kangyo Credit Cooperative), Actcall and 01booster, in addition to obtaining the subordinated loan from Japan Finance Corporation. 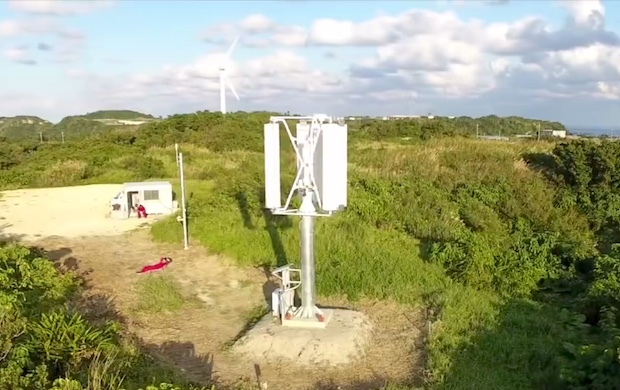 Challenergy develops wind power generator which can secure stable output even in strong winds, such as during a typhoon. Wind power generation has been attracting a lot of attention as a sustainable power generation method utilizing natural energy, but on the other hand, typical propeller-type wind power generators are easily affected by strong wind or turbulence and have problems such as bird strikes or low-frequency noises. In addition, the annual fault rate is estimated at 40-60% in Japan. Due to this, only 3GW of electric power is generated annually by wind power generation system in Japan, although the potential power generation capacity is 1,900GW. Challenergy developed a unique-shaped wind power generator using the Magnus effect. It can perform stable power generation regardless of strong wind, turbulence and wind direction. As the safety as a power generator guaranteed, it can be installed even within town. 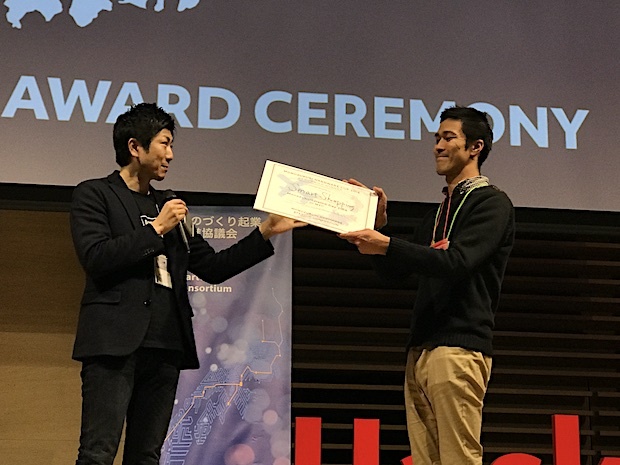 The team won the top prize at Demo Day of JR East Startup Program 1st batch. 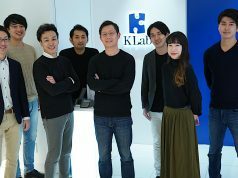 It raised a total of 280 million yen (about $2.6) from Real Tech Fund, Mitsui Sumitomo Insurance Venture Capital and THK as its first external funding. Smart Shopping provides the daily goods price comparison website under the same name targeting individual users and also the inventory management / auto-ordering service utilizing the IoT device Smart Mat targeting enterprise users. The latter service measures residual amount by laying a mat under a product and orders it at the optimal timing automatically. It allows users to always secure necessary items which are likely to be forgotten. 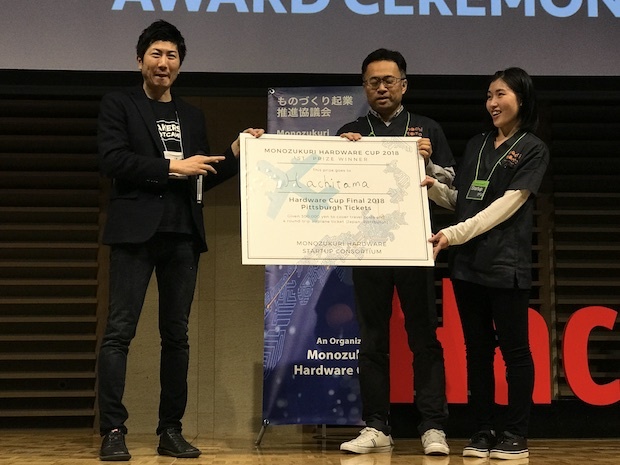 This February, Smart Shopping raised about 200 million yen (about $1.9) from Adventure, MBC Prototyping Fund of Makers Boot Camp, NOS Ventures and angel investors including Masaru Tange. The following teams were chosen as finalists but unfortunately missed the top three spots. 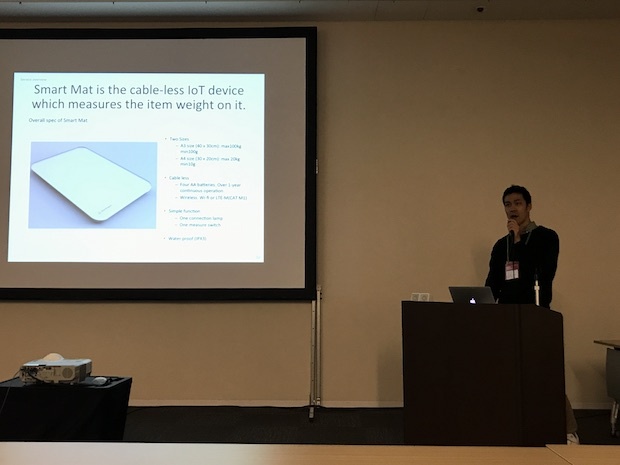 Oton Glass (Tokyo) – IoT smart glass enhancing sensations…… See this article for details.